Shopping for a mortgage loan? We'll be glad to discuss your mortgage needs! Call us at 410-451-2755. Ready to begin? Apply Here. Even if you've not so much as picked out homes to visit yet, it is advantageous to see your mortgage professional first. What for? When you do not know yet how much home you want to qualify for, what can we help you with?  We will help you determine how much of a loan you can qualify for and the mortgage payment amount you are able to afford by getting you pre-qualified. We can do this by considering your income and debts, your employment and residence situations, your funds available for down payment, required reserves, and other financial considerations. We require a minimum amount of paperwork, and avoid a lengthy process. Once you are determined to be eligible, we prove our confidence in your ability to qualify for a mortgage loan by awarding you a Pre-Qualification Letter (also called a "pre-qual"). Various beneifits open to you once you have found your new house, and have achieved pre-qualification power. First, you have some concrete numbers in mind, as the total you can borrow. Even more important to the seller of the house, your pre-qualification letter gives them confidence - as if you had arrived at their home with a big box of cash to make the offer! They will not have to be concerned they are wasting their time if you do not be able to qualify for a big enough mortgage. The seller of the home won't be concerned that he can't trust you to qualify for your mortgage in the amount you will need.Your qualifying for your needed mortgage loan amount won't be something for them to worry about. You have the ability to back up your offer. We can help you see how much of a mortgage you can afford, and the amount of money you will be able to borrow, by walking you through the pre-qualification process. We will accomplish this by analyzing your debts and income, your employment and housing situations, the available funds for down payment, required reserves, and some other things. We will require a minimum amount of paperwork, with a quick process. While you are able to try our mortgage calculators on our website, it is essential to sit down and talk with one of our mortgage professional team members. For one thing, you'll need a Pre-Qualification Letter! Then, we will make sure we have chosen the best mortgage program for you. We're waiting to hear from you: contact us at 410-451-2755. Have questions about pre-qualifying? Call us at 410-451-2755. Washingtonian Mortgage, LLC answers pre-qualifying questions every day.